US and Canadian geophysicists discovered a huge sea of frozen water hidden beneath the surface of Mars, according to NASA. The study was published in the Geophysical Research Letters journal. The layer consisting of ice (50-80 percent), sand and gases was located at a depth of 1-10 meters (3-33 feet) below the surface in the western plains Utopia Planitia, about halfway from the equator to the North Pole. The frozen water deposit is 80-170 meters (260-560 feet) in thickness. Its volume is 14.3 thousand square kilometers — that is as much water as in Lake Superior, the largest of the Great Lakes. "This deposit probably formed as snowfall accumulating into an ice sheet mixed with dust during a period in Mars history when the planet's axis was more tilted than it is today," the lead author of a report in the journal Geophysical Research Letters Cassie Stuurman said. The scientists discovered the frozen sea by using the radar SHARAD (Shallow Radar) placed on the orbital station MRO (Mars Reconnaissance Orbiter). Analyses of data from more than 600 overhead passes with the onboard radar instrument revealed a deposit more extensive in area than the state of New Mexico. Mars Reconnaissance Orbiter (MRO) was launched to Mars in 2005, and reached the Red Planet in 2006. Its main mission came to an end in 2008, but NASA has extended the operation of the probe. In September 2015, scientists from NASA announced the discovery of water flowing from the rocks and the walls of craters on Mars. This phenomenon was discovered during summer on Mars with help from the most advanced technologies. According to images captured from the orbit of Mars by an MRO, the trickles of water left long dark flows on the Martian surface, which could reach hundreds of meters in the warmer months, before the dry autumn, when the surface temperature dropped. 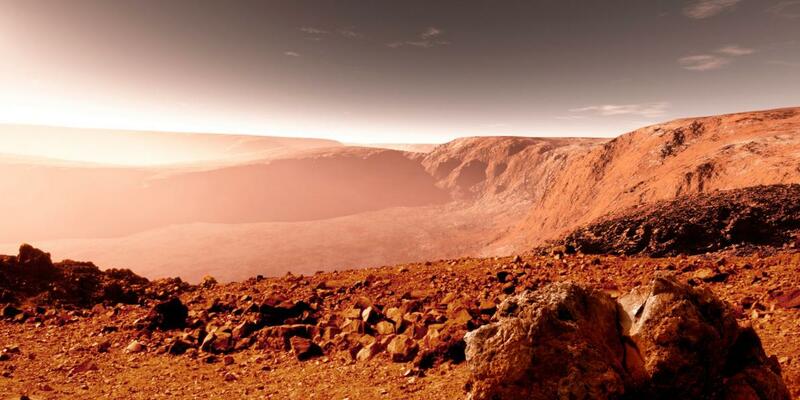 After liquid water had officially been found on Mars, scientists suggested the risk of interstellar contamination that may put our planet’s ecosystem in danger. Germs resistant to highly inhospitable environments — hot, salty, devoid of light — have been found and studied on Earth, so astrobiologists believe similar organisms could exist in similar conditions on other planets or moons in our own solar system and the announcement of water on Mars suggested they might be right. NASA planetary protection officers stressed that there is an urgent need to develop a strategy to ensure that unknown bacteria don’t travel from one planet to another.